Famed aviatrix Evangeline Starke never expected to see her husband, adventurer Gabriel Starke, ever again. They had been a golden couple, enjoying a whirlwind courtship amid the backdrop of a glittering social set in prewar London until his sudden death with the sinking of the Lusitania. Five years later, beginning to embrace life again, Evie embarks upon a flight around the world, collecting fame and admirers along the way. In the midst of her triumphant tour, she is shocked to receive a mysterious - and recent - photograph of Gabriel. With her eccentric aunt Dove in tow, Evie tracks the source of the photo to the ancient City of Jasmine, Damascus. There she discovers that nothing is as it seems. Danger lurks at every turn, and at stake is a priceless relic, an artifact once lost to time and so valuable that criminals will stop at nothing to acquire it - even murder. Leaving the jeweled city behind, Evie sets off across the punishing sands of the desert to unearth the truth of Gabriel's disappearance and retrieve a relic straight from the pages of history. Along the way, she must come to terms with the deception that parted her from Gabriel and the passion that will change her destiny forever. 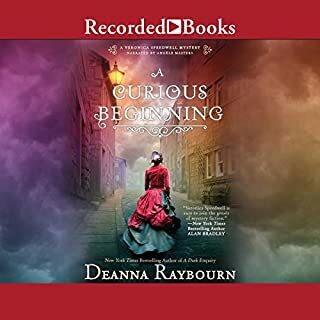 Deanna Raybourn's strength as an author lies in creating such an atmosphere in her books, that the descriptions transport the reader to places with such richness and depth it's always a pleasure to dwell amongst colourful and unique characters. However this time it was not enough to compensate for the authors greatest weakness - romance which has all the maturity of the Twilight series. In every book I have read by Deanna Rayburn the relationship dynamic is always the same - a seemly independent female falls in love with the strong male who "loves" her so much that he belittles, lies to her and generally treats her like a child (in this book Gabriel does in fact call Evangeline "child" several times) all for her own good, of course... Token displays of initiative by the female lead (which inevitably end badly) and some good come-backs are not enough to make this toxic relationship seem either interesting or romantic. The reason it was particularly galling in City of Jasmine was because of the lack of narrative. The plot is very threadbare and the characters are simply thrown together with only brief and ultimately meaningless periods of action to relieve the constant bickering. 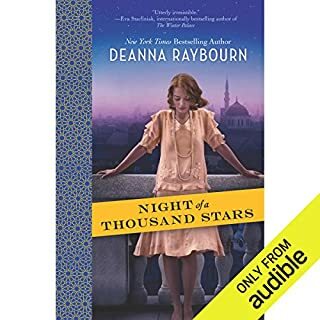 I will keep buying Deanna Raybourn's books because of her strengths and because her narratives are usually far better but I for one am sick to death of this type of relationship not only from this author but in the genre in general and I am constantly hoping for something more. 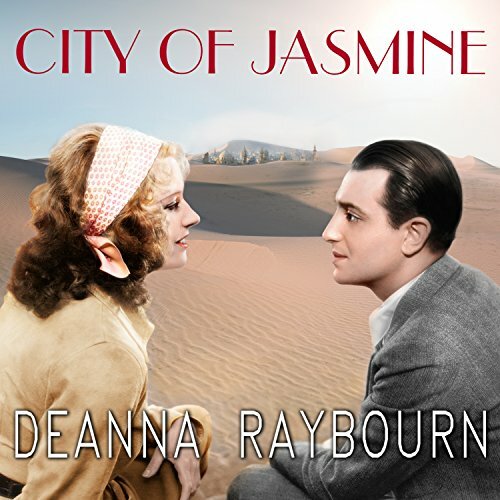 Where does City of Jasmine rank among all the audiobooks you’ve listened to so far? it took much effort to listen through the book. which is not bad at all. 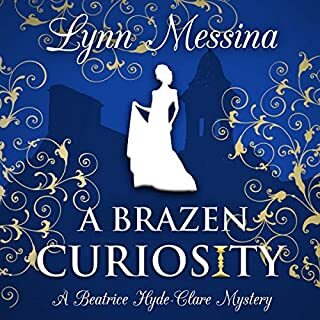 i like the story and i love the author's style, but it was very hard to listen to the narrator though..
as always I love the romance, the story, and the Easter eggs referring to her other books. I only had a hard time listening to this one because the narrator kept replacing every v with a b and I could barely stand it. It took a while to get used to the awkward narration. Ms. Flosnik’s voices makes the characters seem artificial. It was hard to really care about anyone. 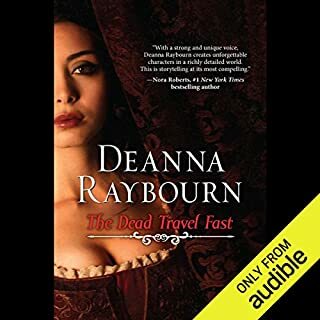 The story had a nice call-back to the Lady Julia Gray series, also by Deanna Raybourn, which I enjoyed more than this book. I’m not sorry to have listened, but it wasn’t great. I have thoroughly enjoyed the first two Lady Julia Grey stories but this book was very disappointing. 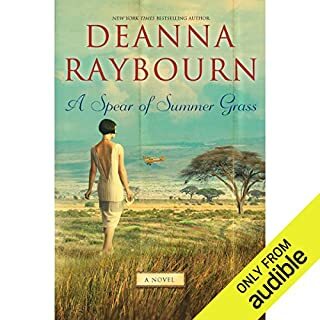 The main characters, Evangeline and Gabriel, are pale copies of Julia and Brisbane and the minor characters lack the charm and originality of those in Miss Raybourn's other books. I love this author and the Veronica Speedwell series. But this book was rough to get through. 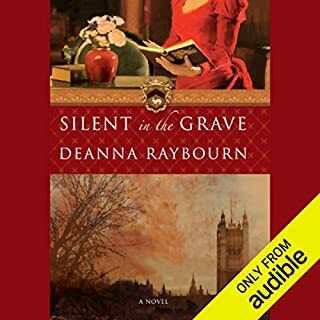 The character is a woman in her 30s however the narrator sounds like she is very elderly and it conflicts with the plot. The story is also slow moving. Meant to be historical fiction, and things tie together but overshadowed by half baked characters and motives.